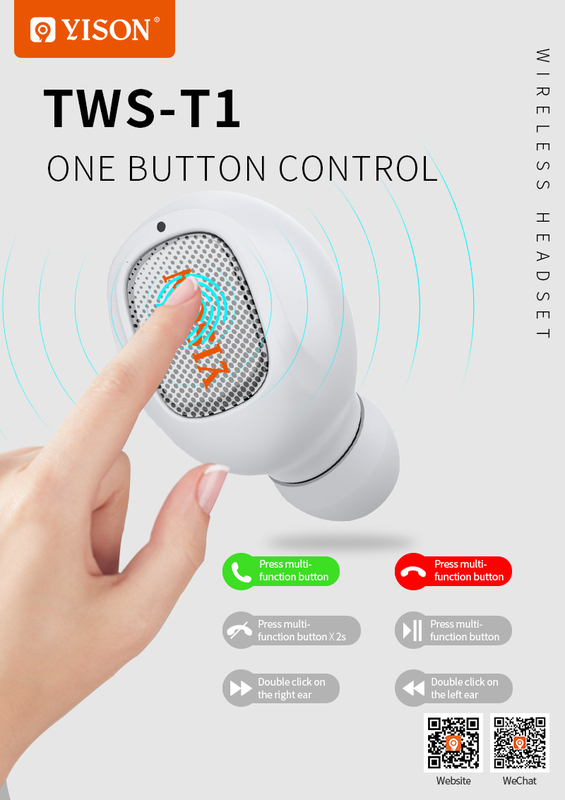 Yison TWS-T1 True Wireless Bluetooth Ste... has been added to your Shopping Cart. You now have items in your Shopping Cart. 1. Answer the call: Connect the good Bluetooth mobile phone. When there is an external call, short press any of the headphones. 10. Manual shutdown: power on state, long press the multi-function button 4S, red flash three times, there is a prompt tone. 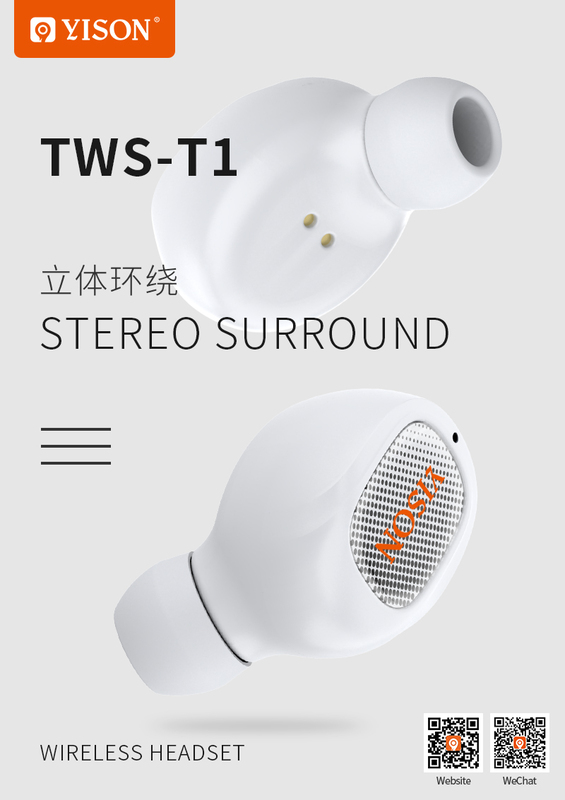 1.TWS-T1 is 16mm Mini Earphones ,Invisible Wearing,Eay Catch ,No Pressure,Making Music To Be With You. 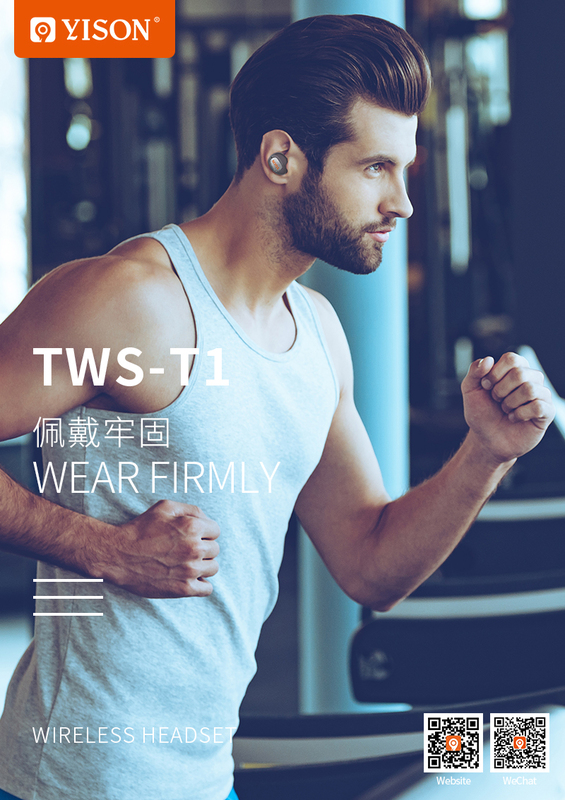 2.TWS-T1 is 4.0g only,Like nothing in your pocket,make you ear more comfortable, no tiredness,suitable to human body design. 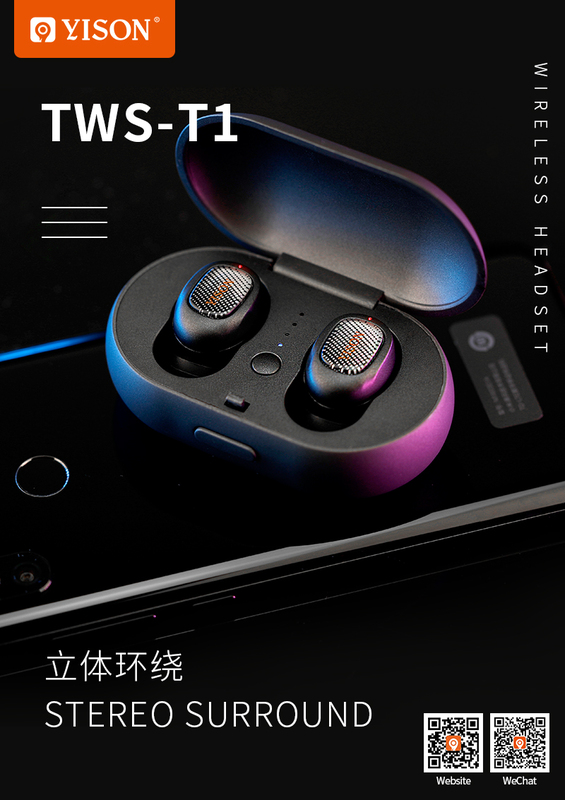 3.1 Device double use, two earphones could connect with one same mobile phone,couple could listen music together with TWS-T1.Earphones could also be used dividually as two bluetooth Earphone. 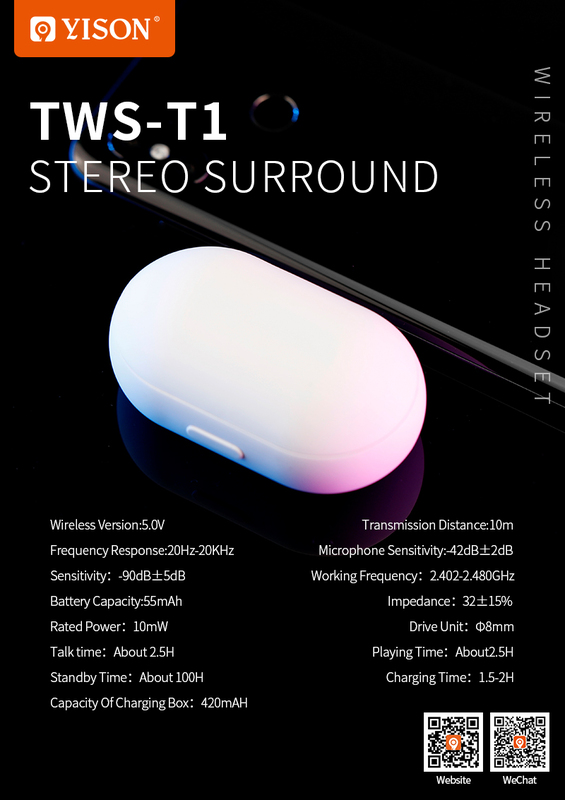 4.TWS-T1 is low-power dissipation,working fast, Bluetooth5.0 6-10meter transmission distance,watching video playing games very fast and stable." 5.Well-designed 8mm dynamic trumpet,Bass is exciting, subwoofer tuning, let you feel strong bass and beat. 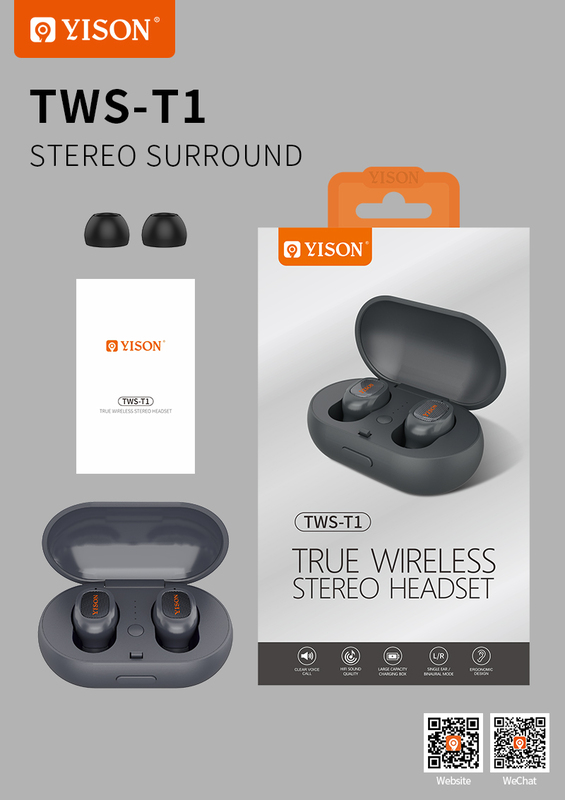 The Yison TWS-T1 True Wireless Bluetooth Stereo Headset with Charging Box, Grey Earphones & Headsets is manufactured by Yison. Buy the Yison TWS-T1 True Wireless Bluetooth Stereo Headset with Charging Box, Grey at the best price in the United Arab Emirates. 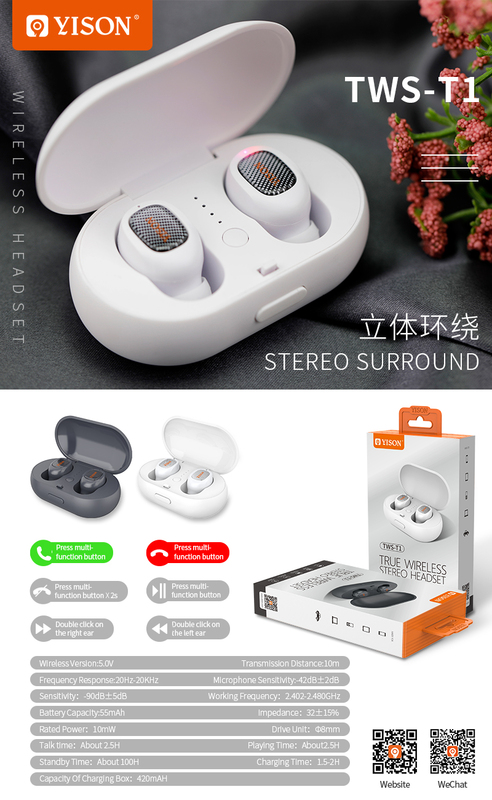 The purchased Yison TWS-T1 True Wireless Bluetooth Stereo Headset with Charging Box, Grey can be delivered to United Arab Emirates. 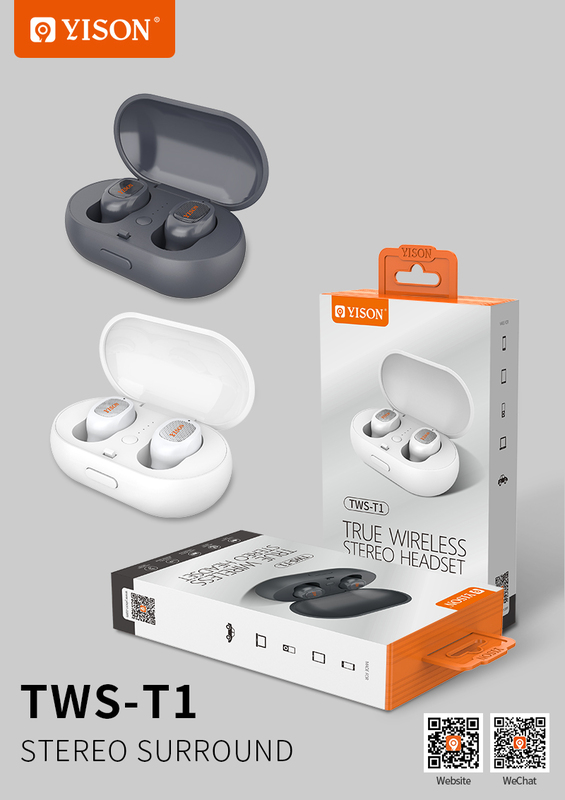 Buy Yison TWS-T1 True Wireless Bluetooth Stereo Headset with Charging Box, Grey in United Arab Emirates of AED 99 and save 48%. The best deals of Earphones & Headsets in United Arab Emirates. Large choice of Yison Earphones & Headsets available in stock.